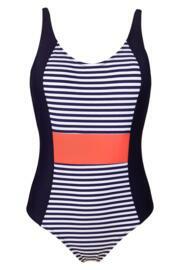 Brand new design featuring navy panels at the side and a contrasting Coral waistband to create a flattering silhouette. Inner secret support with moulded pads. 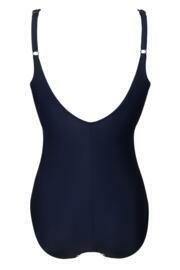 Plain navy back with adjustable straps. Stripe front panels with tummy control. Good quality, excellent sale price and speedy delivery.